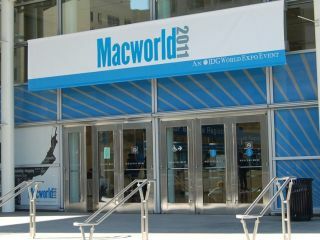 While last week was owned by the Sony NGP, the Nintendo 3DS and the first signs of handsets destined for Mobile World Congress, our cousins at Mac|Life in the US were at Macworld 2011 in San Francisco. Apple may no longer attend the event, but it's still a key event in the Apple calendar for Mac hardware and software, as well as increasing numbers of iOS accessories and apps too. The Mac|Life team were there in force getting the latest Mac galleries, stories and interviews. The team interviewed Macworld Expo VP Paul Kent about this year's show and, most interestingly found out, that a large amount of the exhibitors are now talking about iOS and Mac peripherals for use on the road. "70 per cent of our exhibitors self-identify as providing "mobile" products - apps, utilities, peripherals or accessories," he says. "Mobile is the ubiquitous technical concept shaping the year and everything from productivity apps, to games to creativity software, to printers, accessories, cases and stands are adopting a 'mobile' strategy." Mac|Life also interviewed iFixit CEO Kyle Wiens to talk about deconstructing Apple kit. "I always find it fascinating when Apple cuts features at the last minute," he says. "I always wonder if it was an executive decision to save money, or if it wasn't feasible for some manufacturing reason. We found a space for a camera in the 3rd-generation iPod touch, but Apple didn't get around to adding a camera until the 4th-generation." "I think the most interesting decision they've made was the shift to "brick" machined metal cases across their entire pro line (and now the iPhone and iPad). That CNC manufacturing process was incredibly expensive when they first introduced it, but it has opened up huge opportunities for innovative design." There was a whole load of Mac hardware debuting at the show and you can see some of the best in this Mac Hardware at Macworld Expo 2011 gallery. Likewise, there's also this gallery of the best iOS Hardware at Macworld Expo 2011, and some of the best cases from the show, too. The team found 10 great apps for navigating San Francisco, then looked behind the scenes at the setting up of the show, which took place in Moscone West this year. You can check out some of the best of the other images from the show here and here.